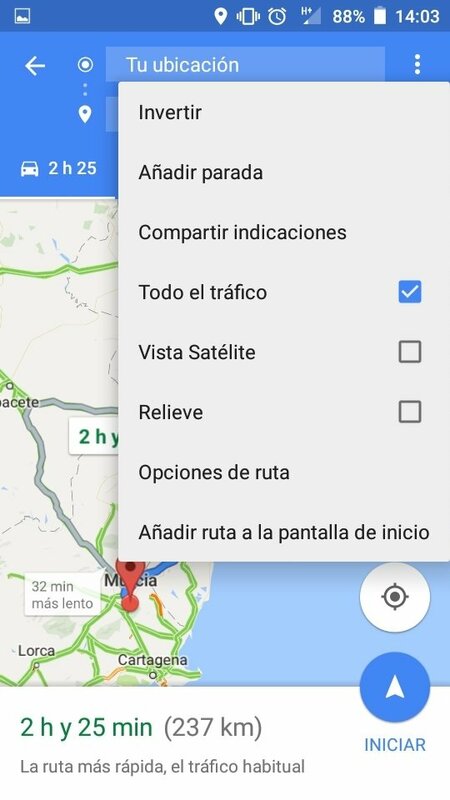 Despite the fact that dozens of companies and developers insist in creating new and improved GPS navigation and map apps for Android, such as Garmin, Waze, Sygic or TomTome, Google Maps is still the best option to move around the world without getting lost, as if we were using a compass. 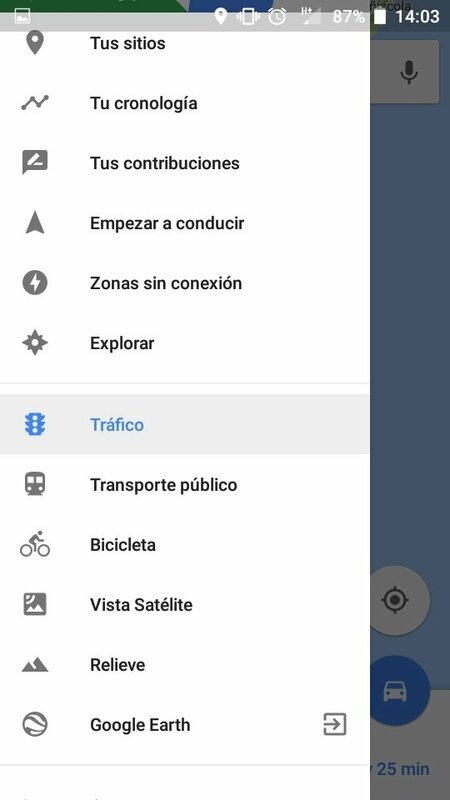 By downloading the APK of this application to your smartphone or tablet, you'll have the perfect tool for your travels, with the best and fastest routes to reach your destination, the estimated arrival time, step-by-step voice indications, real-time traffic information and alerts, and plenty more. 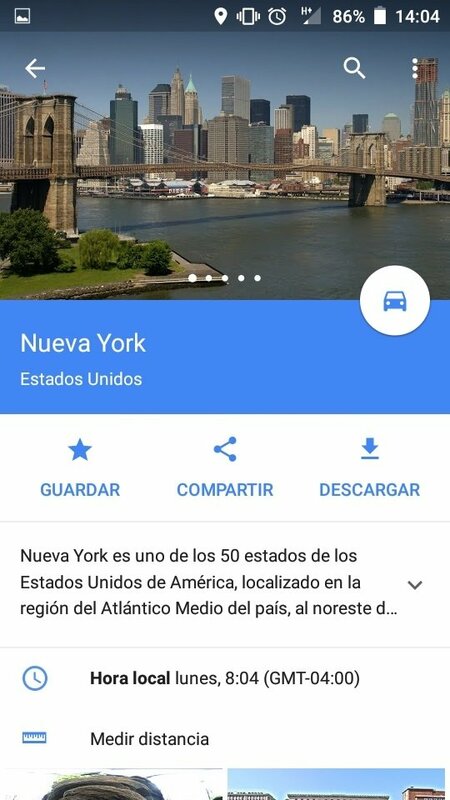 But don't just think that his app can only be used for traveling, but it can also be very useful once you reach your destination, as it will offer you the coordinates and the exact location of any place you intend to visit, whether in Madrid, New York or Ulan Bator, with precise directions to reach that place on foot or by public transport, and interesting information, such as timetables and reviews of people who have already been there. Eat and drink nearby function to receive recommendations to eat out, have a drink or go for dinner. Discover nearby restaurants, bars, gas stations or cash machines. Quick access to interesting information about all these establishments with ratings by other users. Get to know the rush hours and the best times of the day to visit tourist attractions. Possibility to access your history with all the sites and locations you've searched for on your phone. Street View function to place you at street level with interior images of restaurants, shops museums, and famous places. Detailed indications to travel to anywhere around the world whether by car, public transport, bike or on foot. Step-by-step navigation with voice instructions so you don't have to take your eyes off the road. Very accurate time estimations to know how long you'll take to get to your destination. Possibility to alternate between the traditional map view and a satellite view. Receive recommendations for alternative routes and updated information about the traffic during your trip. Configure route options to avoid tolls, highways, and even ferries. Your Places function to establish locations that you visit frequently such as your house, your work or your school. 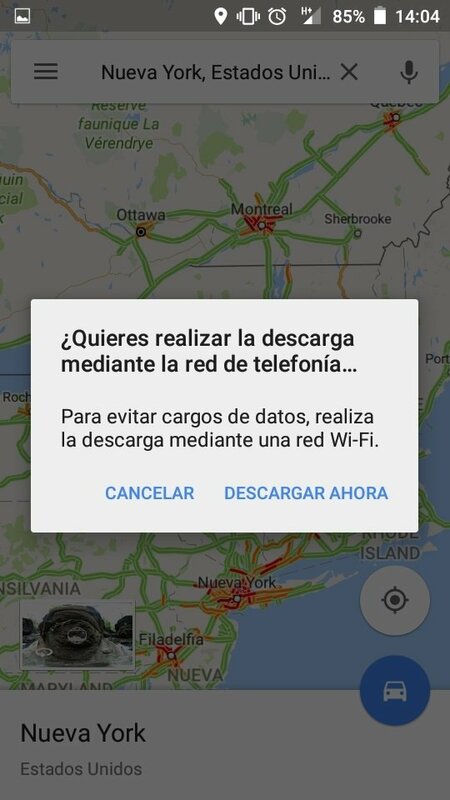 Download maps to be able to check them offline when you don't have an Internet connection. Configure the size of the maps to be downloaded increasing or decreasing the dimensions of the area to be covered. After reading about all the advantages offered by this application, you're surely going to want to use it when abroad on holidays to be able to get around cities you don't know too well. But, can it be used offline? Yes, you don't need an Internet connection or spend indecent amounts of money on roaming if you prepare your maps application beforehand to work without WiFi or a network connection. Step 1. Open the application on your smartphone or tablet, making sure that you're online (we recommend WiFi because you're going to download loads of megas). Step 2. 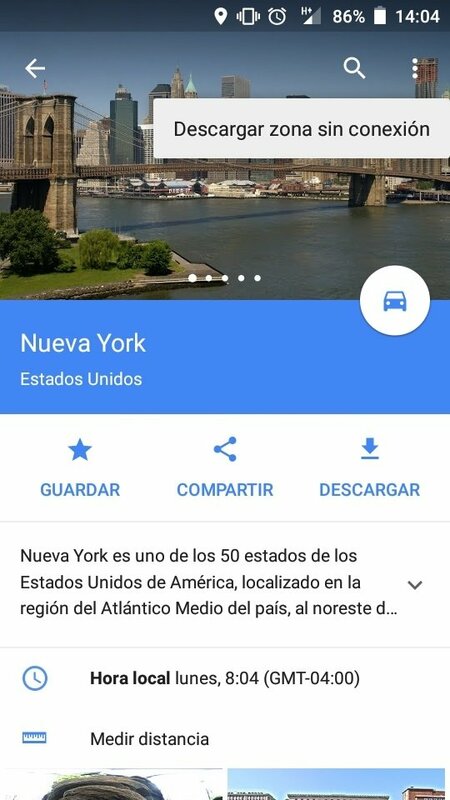 Write the name of the city, region or country you want to visit and that you need to download the maps for to check them offline. Step 3. Tap the name of the place that now appears at the bottom of the screen. Step 4. A new page will open with a series of options such as Save, Share or Download. 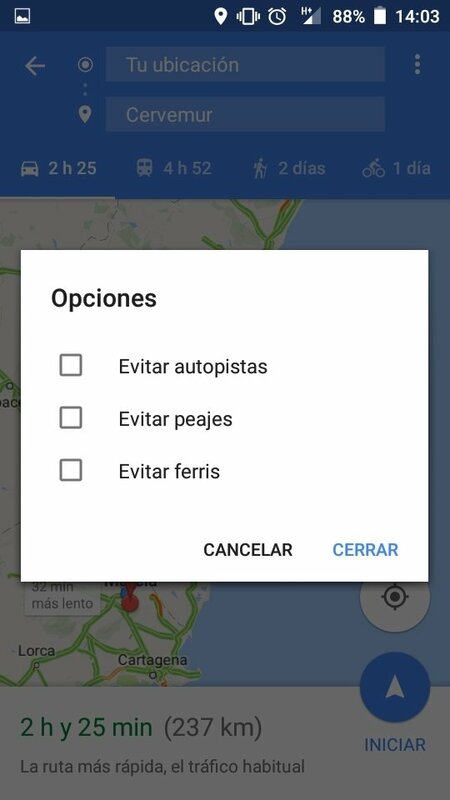 By choosing the third option you'll download the map to your device. Step 5. 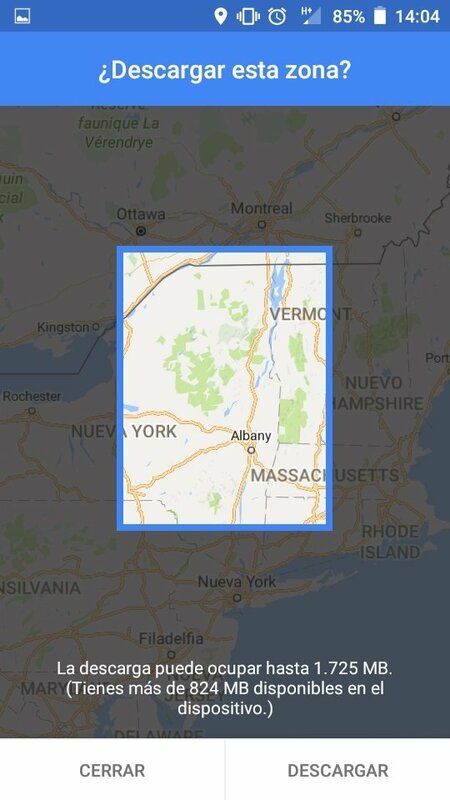 Choose the size of the map to download. The larger the area, the more it will weigh. Step 6. To use the maps offline, use the app as usual. If it detects that you've got a weak signal it will make use of the maps stored on your phone. Remember that if you use the offline mode you'll be able to search for locations and obtain routes, but it will only show you indications for car journeys, not for public transport or walking. Neither will you receive recommendations about alternative routes, or information about the current traffic. The application is great, but it can't do miracles. You can locate charging stations for electric vehicles on the map and have the option to take part in beta version tests.